WHO WRITES THE ARTICLES OF BEGINNING WELL? HOW IS BEGINNING WELL ORGANIZED? HOW IS THE WORK OF BEGINNING WELL FINANCED? It was her first child that made Pia Dögl think of creating the beginning well website. While head of a children’s home (Emmi-Pikler-Haus) for neglected infants and young children she got to know Emmi Pikler’s profound approach in combination with Waldorf educational philosophy. There she experienced the positive effects these educational approaches have on children. Pia then faced the challenge of how she could create an aware and mindful family life together with her own child. Questions and uncertainties were raised with which many mothers and fathers are confronted. She discovered that it is not easy to find answers which can help to give a better understanding of how a child experiences the world and develops. In an exchange of ideas with other educators, especially with Elke Maria Rischke and Ute Strub, as well as through her own experience, it became clear to her that many stressful and annoying everyday situations need not occur if we manage to respond to the child with empathy, appreciation and respect. This led her to think of making helpful experiences accessible to other parents too by making them available on a website. The first years of life are fundamental for a child’s whole further development and if we manage at least partly to create the appropriate conditions, then the valuable potential of the child, his willpower, his joy in creativity, his ability to involve himself and his effervescent liveliness will also remain with him in adulthood. beginning well wants to make a contribution in this direction. 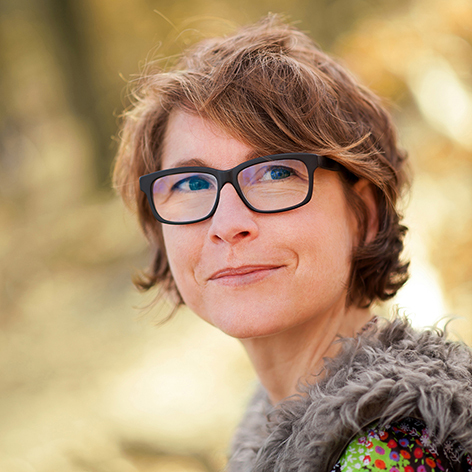 Pia Dögl, founder of dailyempathy.com, was born in Bonn (Germany) in 1972. As an educationalist she has worked in human resources for profit and non-profit organizations, in cities across Europe. She was a founder-member and on the management committee of the Emmi-Pikler-Haus for neglected and abused children in Berlin. Pia now works internationally with individuals and groups on self-awareness and unfolding unique potential. She lives with her family in San Francisco. Elke Maria Rischke, born in 1942, is a Waldorf educationalist and worked as a Waldorf kindergarten teacher for more than three decades. She founded four kindergartens in various towns in Germany. After getting to know Emmi Pikler’s early childhood educational theories she included them as a valuable addition to her work with the children. She also holds seminars and further training courses and gives talks in Germany and other European countries. She has worked as a lecturer at Fernstudium Waldorfpädagogik (for the English translation click here) since 2004. Together with Ute Strub and Pia Dögl she set up the Emmi-Pikler-Haus in 2006 and among other things was responsible both for infants and children of preschool age. Ute Strub, born 1933, is a physiotherapist and student of the movement educationalist Elfriede Hengstenberg. Her book Entfaltungen (Developments) encouraged the reproduction and spread in the German-speaking countries of the balancing and climbing apparatus used by Hengstenberg and thus ensured that this work still benefits children. Her many years of work with Emmi Pikler and Anna Tardos and writings from the Budapest Pikler Institute published in German resulted in her international work as a lecturer on early childhood education and in training Pikler educational theory. In 1996 Ute Strub gave the impulse for the SpielRaum-Bewegung in many countries (for the English translation click here). It offers an accompanied framework in which parents can experience the delight in discovery and activity of their babies and small children. In 2006 Ute Strub was one of the co-founders of the Emmi Pikler Haus, where she also worked for three years as a supervising tutor. In 2010 she opened Strandgut in Berlin-Schöneberg where city children can play with sand and kitchen utensils in various rooms and roll around in straw. There follows a film interview with Ute Strub and Elke Maria Rischke on the theme of Finding my own way of raising my child. The voice of Pia Dögl can be heard in the background. Most of the beginning well articles have been written by the initiators Pia Dögl, Elke Maria Rischke and Ute Strub. We also currently have a project manager, a graphic artist and an information technician. When required we also work with other specialists (e.g. for editing and film production). On beginning well we also publish research findings and experiences of other experts in the field of relationships and developments in early childhood. We all share the wish to create positive conditions for the development of as many children as possible. The website www.beginningwell.org is set up by the association beginningwell – empathy and respectful care with babies and toddlers (wertschätzender Umgang mit dem Säugling und Kleinkind), with its office in Vienna, Austria. It is a nonprofit association. All those working on beginning well are currently working voluntarily or freelance. The development and conception of beginning well: work on the articles and graphics, production of film and photo material, proofreading, technical implementation and other jobs have been made possible by voluntary work and donations from the initiators. We rely upon donations for the maintenance and further development of beginning well. These are needed for: technology (server, maintenance, development), management (e.g. fundraising, administration, public relations work, international further development), editing, production of film and photo material, provision of a forum (which should enable an exchange of ideas between parents and specialists, possibly also individual online advice), translations of the website into English (eventually also into other languages). We want as many people as possible to be able to benefit from the stimuli provided here. We therefore consciously decided against charging for use of the site. We also do without advertising which we think is not appropriate to this context. Knowledge should be free of charge for everyone and available everywhere. People who support beginning well share the wish to create the best possible conditions for the mental, emotional, and physical development of children. We trust that people who find the contents of beginning well important will make a donation to the amount they see fit.